Social Media Marketing Campaign for a leading textile machinery manufacturer in India to promote their photography contest. A leading textile machinery manufacturer in India producing the entire range of Spinning Machinery. A global player having 60% market shares in the domestic textile spinning machinery industry and has a vision to enhance its brand image by expanding its global presence. The group has also forayed today into manufacturing of CNC machine tools and precision castings for industries worldwide. 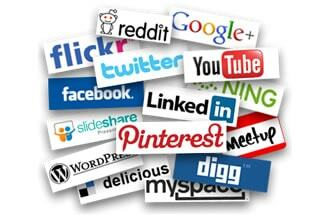 The client asked us to promote their website into the major social media platforms and search engines. ANGLER’s job is to promote the photography contest online virally through promotional marketing campaign and to increase the number of registrants / participants for the contest. Besides, the challenge was to list and achieve page #1 ranking for their most targeted keywords in the search results. The real challenge was figuring out exactly how to increase the number of visitors and participants social media based viral campaign. At ANGLER, we specialize in promoting websites online using social media marketing strategies that not only receive substantial traffic, but also convert that traffic into profits. With our team’s in-depth knowledge and rich experience we worked out a systematic and result-focussed social media action plan with roadmap / steps to promote the photo contest. Towards meeting the specific objectives and as a part of our social media marketing campaign, we have also designed and developed a website with SEO compliance in the most cost effective manner with enhanced features. ANGLER’s team of SEO Professionals has devised a strategy to effectively implement and promote the photography competition virally online through popular social media platforms including Facebook, Twitter, Google Plus, Flickr, Pinterest and much more. We proposed creating an online viral campaign surrounding the giveaway of the contest. By creating profiles and joining the professional photography related online communities / discussion forums / groups, we have spread the news like a wild fire without spamming / contaminating the web. To encourage greater participation and get more number of photo submissions under each category, we have actively participated in the photography communities and also did submissions to photography contest announcing sites that attracted photographers from all over the world. The following are the results achieved. Why Wait and Watch the Way? We respect your privacy. NO SPAM No selling your personal data. We are friendly people who love to talk. So go ahead and contact us. We will respond to your query & collect further details within 24 hours. Guaranteed! Sign up for the newsletter to be the first to hear about new updates, events, projects and other ventures. We promise never to send you SPAM!